Acne is a common problem and the intensity of which increases during adolescence, menopause and in pregnancy when there are different hormonal changes inside our body. Acne should be treated early and with great care because it is infectious and spreads very quickly on face, neck, chest and back. Acne leaves some scar marks which sometimes become permanent if you do not take the necessary steps. There are various products available in the market. But for acne, natural products are the best which cure it without leaving any side effects. 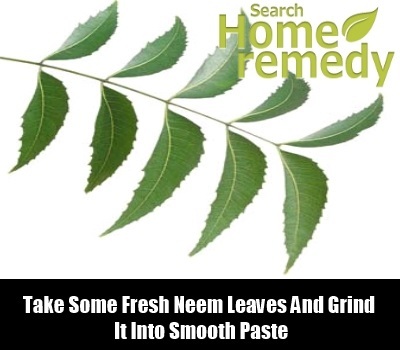 From this article you will get toTake some fresh neem leaves and grind them into smooth paste. know about those natural herbs that cures acne very effectively. Mint is an excellent product for acne and pimples. You can use mint leaves in different ways. Boil some mint leaves in water and strain the water. Keep it in refrigerator and use it as astringent to treat acne. But if the problem is severe then use it raw. Crush few fresh mint leaves and apply that on your skin. Wait till it gets dry. Mint has a very cooling effect. Use mint juice everyday on your acne and pimples to get relief very soon. Neem leaves has antibacterial and antifungal quality. Take some fresh neem leaves and grind it into smooth paste. Mix little amount of freshly ground turmeric paste in it. Apply that on your face and neck and wait till it gets dry. Then wash your face with cold water. Boil few neem leaves in water. Wash your face again and again with this water to get rid of acne. Basil leaves are very effective to cure acne. It also has anti fungal and antibacterial quality which cures acne creating bacteria effectively. Crush few basil leaves and extract the juice. Mix little amount of honey in it. Apply the mixture on acne and pimples everyday. You will soon get relief from acne. To get the quicker effect, chew some basil leaves everyday at empty stomach in the morning. Tea tree oil heals acne very quickly because of its antiviral, anti bacterial and antifungal properties. Tea tree oil effectively cures any types of skin diseases including acne and pimples without leaving any scar marks. Aloevera gel is excellent product for all types of skin diseases especial for acne and pimples. Slit one aloevera tube and remove the gel. Apply that on your acne. It has a cooling effect and both prevent and cure acne. Use it everyday. To enhance its power you may add sandalwood paste with aloevera gel. Herbs like guggul help to cure acne and pimples. It fights acne very effectively in women. Pluck few marigold leaves and flowers. Crush them and extract the juice. Preserve it in refrigerator. Take a piece of cotton and soak it in it. Then dab that on your acne. Leave it as long as possible. Apply this juice at least twice daily. You will soon get relief from acne because marigold has antiseptic properties. Lavender essential oil has anti-inflammatory and antiseptic properties. Apply that on your pimples everyday to get relief from it. Use these herbs everyday and stay away from spicy and oily foods to maintain an acne free healthy skin.